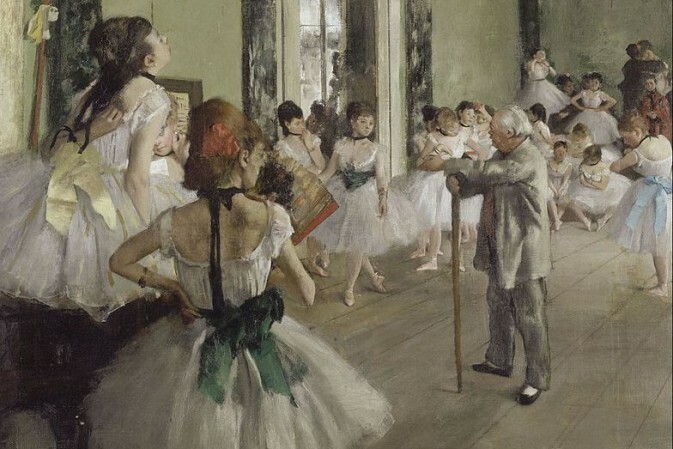 It is astonishing that one of the main elements of almost every operetta – dance! – is so undervalued today. Whenever I read a review the focus is on singers, on the interpretation of the libretto, and sometimes on the musical and acting qualities of the performers. These elements are essential, no doubt, and when neglected, an operetta staging might fail. But from the outset, the dancing element in an operetta, let’s say by Johann Strauss, is not only essential, but the center of the entire work. Dance is the driving force, it’s providing the musical pattern and motoric impact for any couplet, aria, duet, or musical scene. Most operetta scores also provide ballet numbers that are often cut: because of the cluelessness of stage directors? 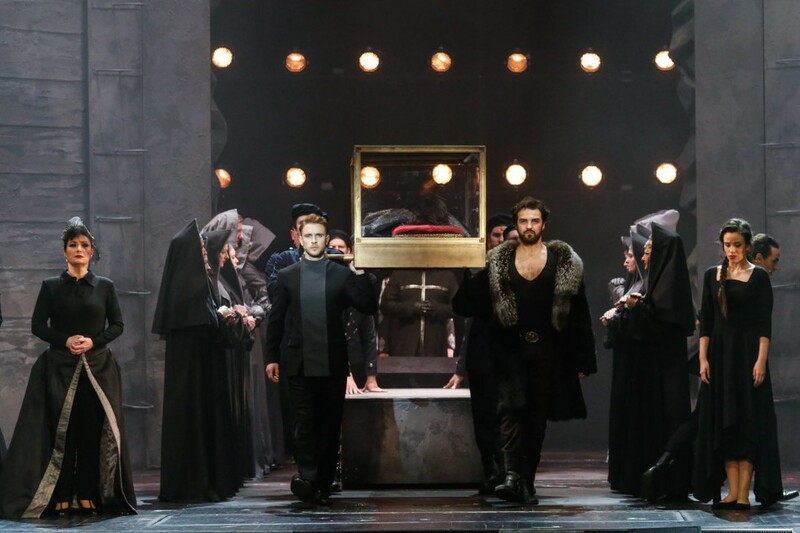 Against this backdrop, two recent operetta premieres are remarkably different: the Teatr Wielki Lodz (in Poland) presented a new Fledermaus and the Estonian Teater Vanemuine offered a new Wiener Blut. 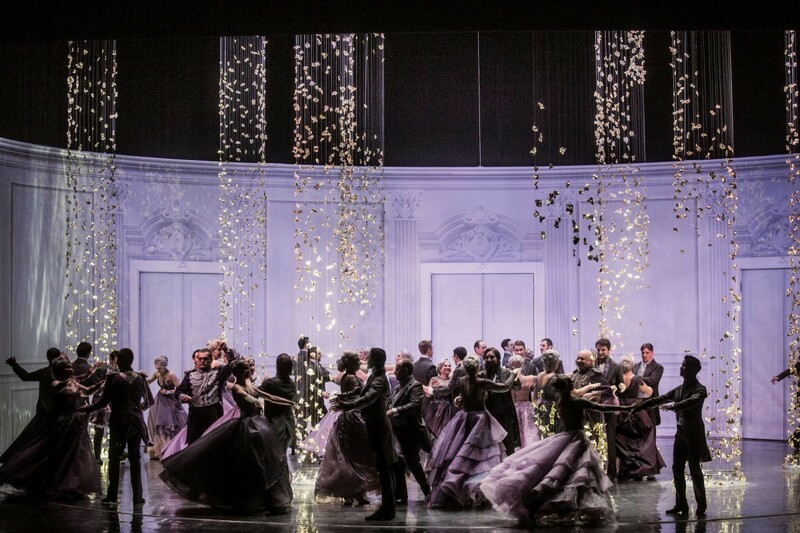 Both productions were conceived, staged and choreographed by Giorgio Madia, who is not afraid of dance, on the contrary, he sets soloists, choir and a corps de ballet of stately size into choreographed motion. The stage sets of both productions are ideal for such an approach. Tasteful, even stylish, the design is a visual dream. Giorgio Madia aims to find and then to spread the ‘perfume’ of the two Strauss works. He does this with great ease and in a highly sensual way, without taking the easy byway of an ‘intellectual’ deconstruction. Guided by a certain ‘loyalty’ to the original works, he dusts them off. With his uncompromising ‘thinking in motion’ he explores the depth of the alleged ‘superficiality’ of stories. Proving that they are anything but superficial. 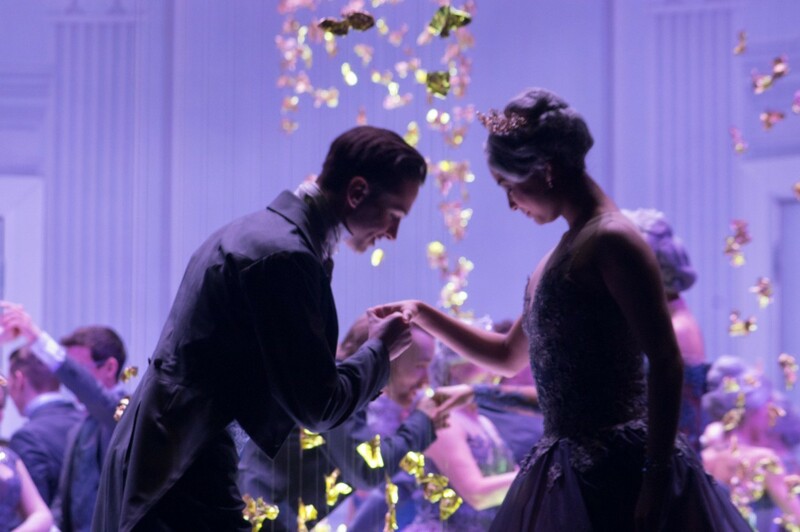 An intoxication of colors, and even flowers (wisteria are the secret star of his Wiener Blut), an all-time gentle revolving turntable stage stopping in the most intimate moments, fast-paced slapstick scenes, gestures within duets that are musically set, floating or then again whirling beauty of true ballet scenes … (by using, among others, Johann Strauss’ rarely performed Polka mazur Die Libelle op. 204. To mention only one of the additional coups). The idea of directing an operetta in a choreographic way, bringing dance and movement to all performers is not new – think of the grand Erik Charell, who did the very same for his revue operettas including Mikado, Die drei Musketiere, Im weißen Rössl, Der Kongress tanzt. But it’s difficult to find more names that can be connected to this idea of a true ‘Tanz-Regie.’ Bob Fosse on Broadway might come to mind, but in operetta? 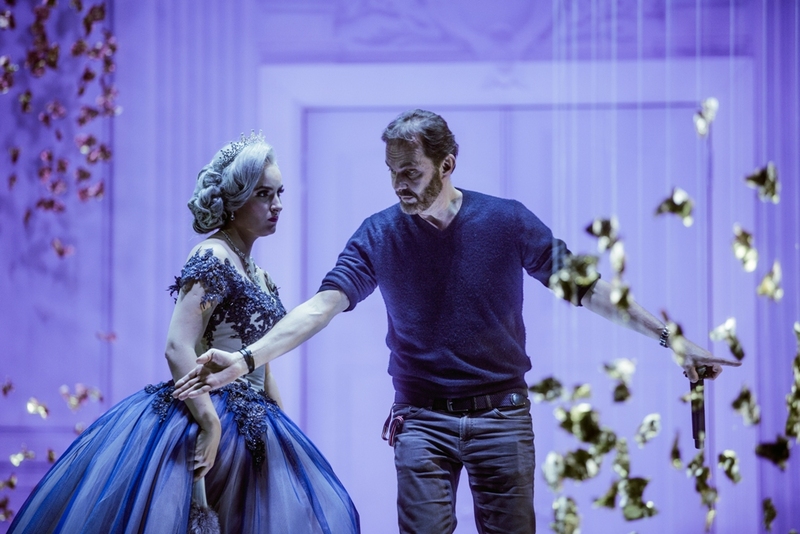 As an ingenious team Otto Pichler and Barrie Kosky also follow this concept, while Giorgio Madia executes it alone. 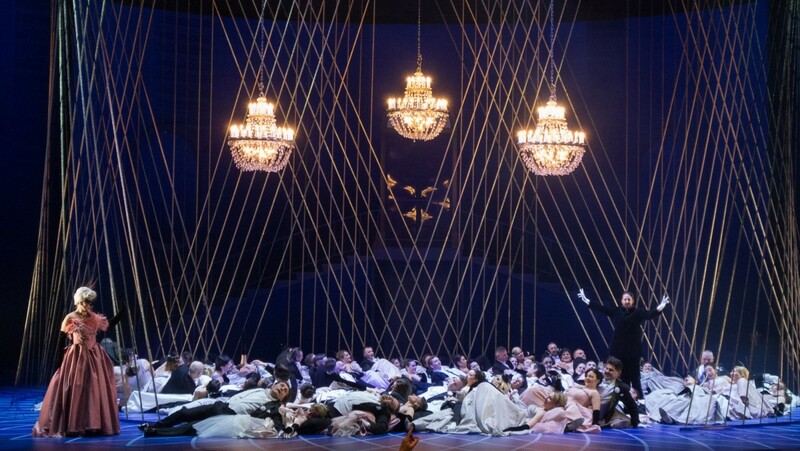 One would wish to see more stagings that reinvent this spectacular side of operetta, that couldn’t be more contemporary by letting us enjoy young, vital and gorgeous casts. For more information on Giorgio Madia (and more production photos) click here. Annegret Gertz is a ballet dramaturg and works in Berlin. Excuse me, but this exquisite little piece was composed by JOSEF Strauss, who died young, in the year before Johann Strauss’ first operetta appeared.